CRWN Magazine is looking for Video Production Interns, Design Interns and PR & Marketing Interns for Spring 2018. Applicants should be passionate about the empowerment and authentic representation of Black women through media and the written word. 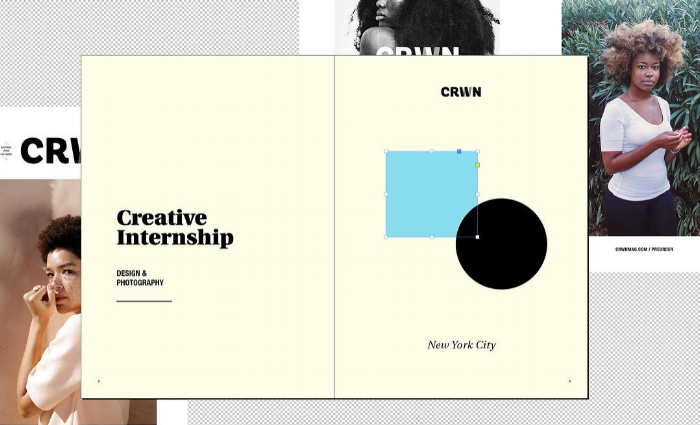 Interns will support the functions of CRWN's Editor-In-Chief and Creative Director and will be exposed to the inner workings of an indie, Black-owned print publication born in the digital age. All roles are very hands-on and require a proactive, adaptable, entrepreneurial approach to problem solving. Applicants should embody CRWN's brand pillars: Sisterhood, Authenticity, Knowledge of Self and Self-Love. Discretion, humility and maturity are of utmost importance. All internships are unpaid — you can receive school credit through your university.